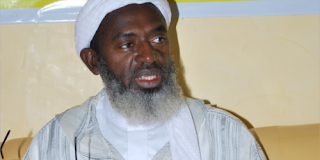 A frontline Islamic cleric, Sheikh Ahmad Gumi, has spoken against the choice of a Muslim by Kaduna State Governor, Mallam Nasir El-Rufai as his running for the 2019 governorship election in the state. Gumi pointed out that the state was not ripe for a Muslim-Muslim governorship ticket going by its culture and environment. Gumi noted that such ticket could create more tension in the violence-prone state, and that people of other ethnic groups and religions should be assimilated and not pushed out. ‎The renowned cleric said there was the need for the minority indigenous people to be given political representation in any state, depending on their population. “Everybody knows that it’s politically motivated. ‎Everybody knows that. What I’m saying and I specifically said is that you look at the time, the situation, the culture, the environment ‎before you make such a move,” he told Premium Times. “What I feel is that it’s not yet the time. It is not right, ‎especially coming a week after some people who lost lives innocently. Somebody is killed on the road, why? Because of his identity. “So, immediately after such a crisis, we don’t need another thing that will create animosity between people that are destined to live together- and I specifically said indigenous people. “If we have indigenous people, we should do everything possible to assimilate them, integrate them, not to castigate them and put them out. “They brought the argument that this thing is happening in Plateau and other states and I said yes, this is one reason why we should show them that we don’t take our behaviours and civilisation from barbarism. We have a standard. “Not only in Kaduna. We are now looking for the right of Muslim minorities in Plateau, in Benue, in Nasarawa too, they should be fully integrated into the politics. If it requires to be a deputy governor, they should have to.